One of the complaints voiced by some followers of the Paleo diet is that the flavors and tastes are rather limited because of what you can’t have. 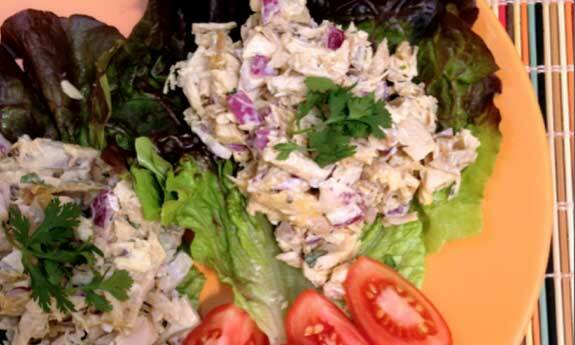 Here are some chicken salad recipes that will keep your taste buds interested and will keep you within the parameters of what you should be eating while on the plan. 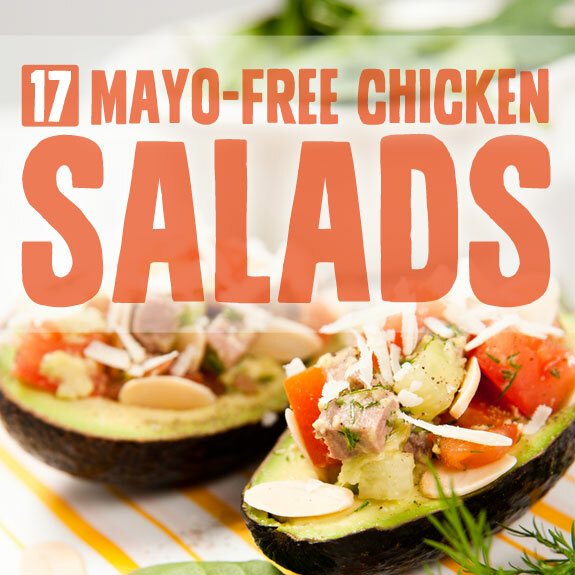 The biggest barrier to having chicken salad is the mayo that’s used in most chicken salad recipe, and more specifically the oil used in that mayo. 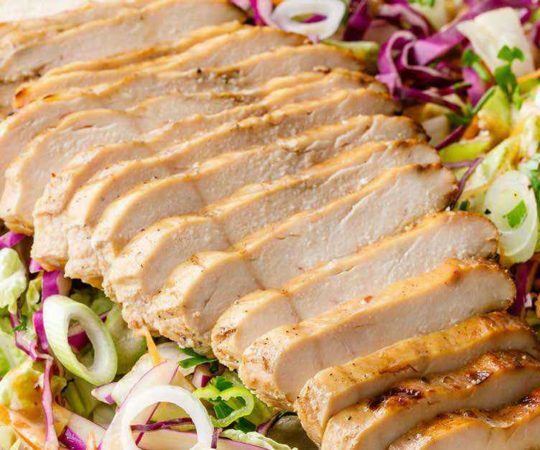 By losing that you open the door for a host of yummy chicken salads. 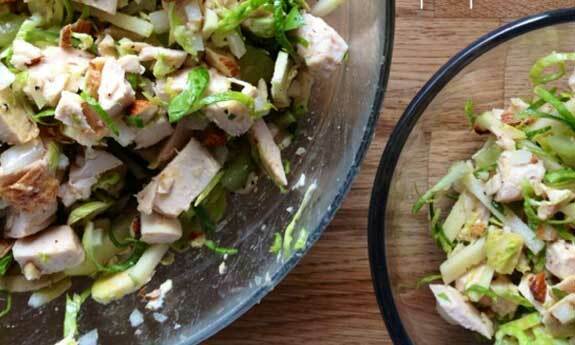 This is a beautiful chicken salad that is using a seldom used ingredient, but one that is perfect for the Paleo way of eating: bok choy. Bok choy is low in calories, low in carbs, has antioxidants to help your body, and has a wide assortment of vitamins and minerals that you need to keep up on a day to day basis. 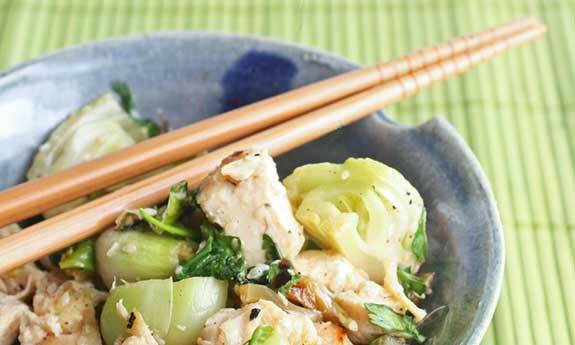 Chopsticks are optional on this chicken salad, and you can feel free to it it with a fork to get all of the protein goodness without making you feel weighed down when you’re done. 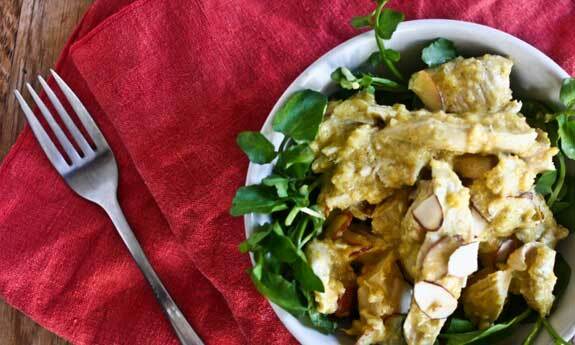 Mangos are a fruit that you can enjoy on the Paleo diet, and they just go great with curry. It’s all blended up so that it’s smooth and creamy, just like you’d expect from a chicken salad but without the need for mayo. They’re using grass fed yogurt on this one, so it does contain a bit of dairy, but since it’s from grassfed cows it is acceptable for most Paleo followers. If you’re following strictly it might not be the best recipe, but you have to come to your own decision on dairy and how you’ll handle it. 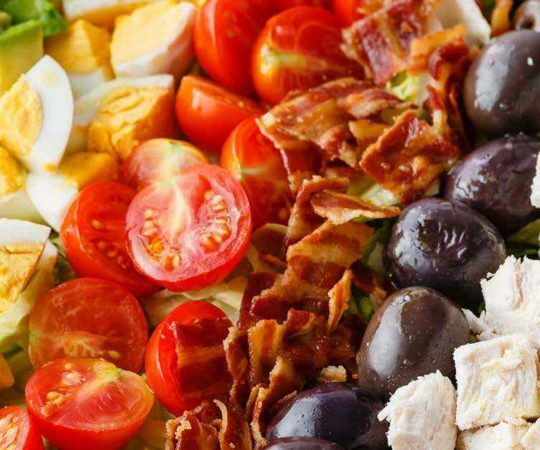 The Mediterranean diet is doing a lot of things right, and this recipe takes the best of those things and puts them all in one recipe. They’ve included a recipe for olive oil mayo that you’ll want to keep handy for use in a myriad of other recipes. They also make the suggestion to use organic versions of the ingredients listed, and that’s a Paleo theme: always try to bring things back to their original source with no pesticides, herbicides, and chemicals added. 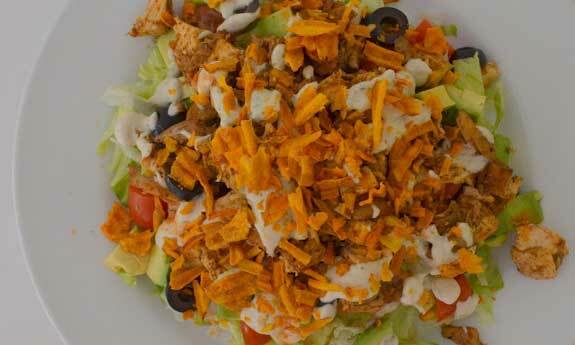 This is a unique chicken salad that we think you’ll remember for several days after eating. Larb is one of those dishes that Paleo followers love because it takes a salad and meats the heck out of it. 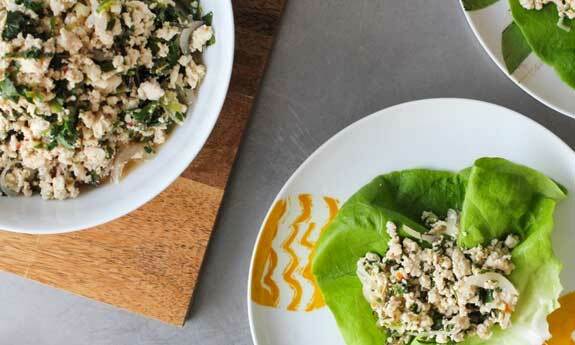 In this larb they’re using chicken and some lemongrass to give it a Thai theme, and there are plenty of other ingredients to help bring this together. As far as prep work goes though it’s not too hard to mix them all together, and serving them on a piece of lettuce makes for good aesthetics, as well as added flavor. To bring this to work just put the larb in a plastic container, and the lettuce in another container and combine the two at lunch time. They’ve officially taken the mayo out of this one, but really they’ve taken the essential ingredients of mayo and made it OK for Paleo. They’re using a few egg yolks and some olive oil to give you the consistency of and flavor profile of mayo without the use of vegetable oil or soybean oil and any other non-Paleo oil. We like how they’re keeping the ingredients a pretty good size so you’ve got to chew and crunch this up so you know you’re eating something. 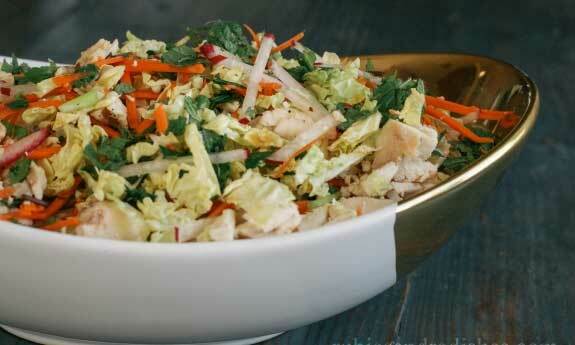 Many chicken salads cut things up a little too finely so you lose some of the individual characteristics of the foods. 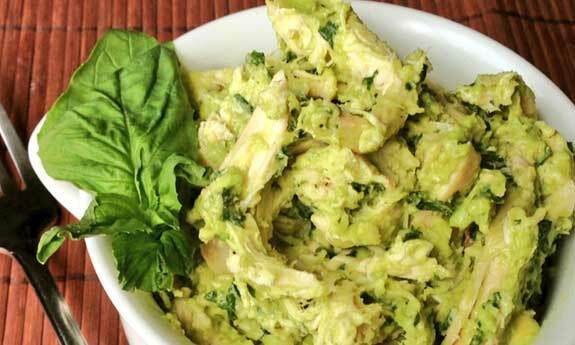 Really, how can you go wrong when you combine basil and avocado with chicken. 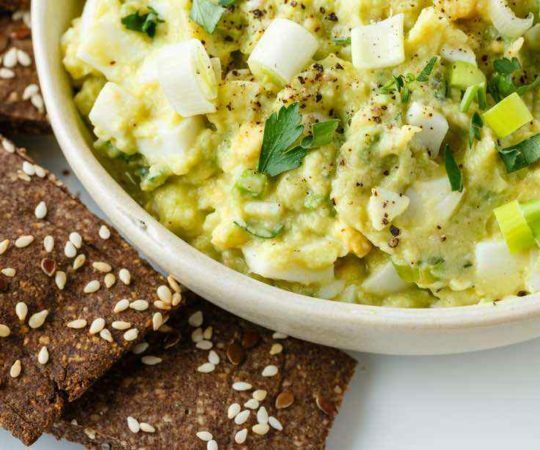 They all go together perfectly and you’re getting massive benefits from the avocado which is going to give you a dose of healthy fats and potassium to provide energy throughout the day. The basil is also somewhat of a superspice, providing antioxidants to help with heart health and ward off cancer. But aside from all of these health benefits you’re looking at a chicken salad that just tastes great and one that you’ll surely return to on a regular basis. They admit to using leftover rotisserie chicken on this recipe, which makes it a great go-to when you just have these ingredients on hand and don’t know what else to do with them. As a Paleo follower it’s going to happen on a many occasions that you have leftover meat and vegetables and will be lost for what to do with them. You might find yourself making your own creations and concoctions, but it’s nice when you have a step by step recipe to follow like this one. We love the mix of herbs and spices they’re using including mint and cilantro as well as ginger and garlic. Paleo good. Chicken good. Ranch good. Tacos good. Nothing about this recipe is bad, and so when you combine it all together you’ve got to get something good right? Perhaps the best value of this recipe is the link they provide to a ranch sauce that you’re simply going to want to keep on hand. 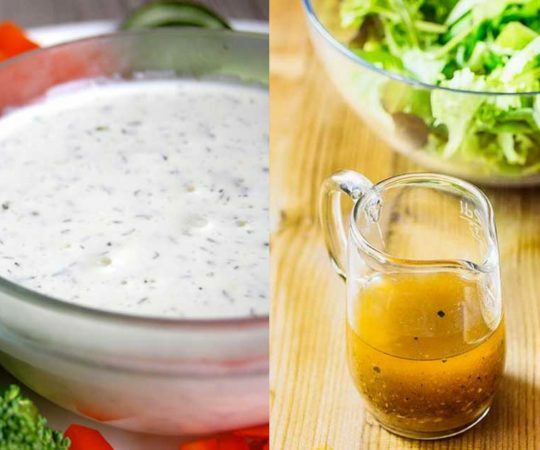 It’s a dairy free ranch dressing that is totally Paleo approved. 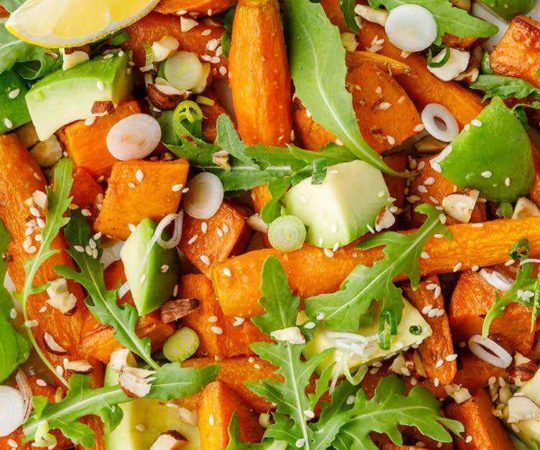 Go all the way with this salad and use all of their “optional” suggestions for best results in taste and nutrition. 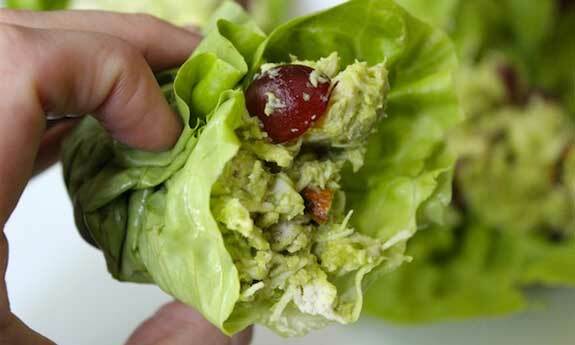 If nothing else make sure it contains avocadoes, as these should be your new BFF while on Paleo. 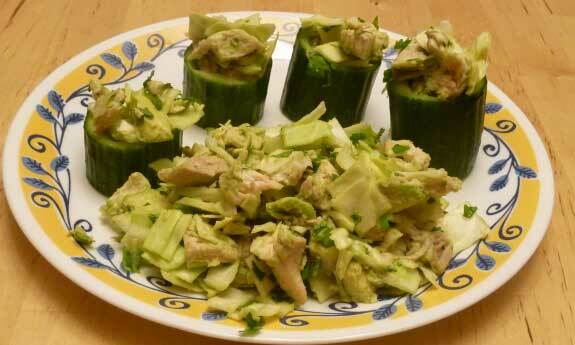 Check out this recipe, it shows you two different ways to serve it, in a pile if you’re eating by yourself or placed onto a cucumber cup if you want to be fancy and serve it to guests. That’s the kind of caliber recipe you’re getting here, one that you can enjoy solo if that’s what the situation calls for, or one that you can use to entertain guests. The cool part is they don’t have to know it’s Paleo if you don’t want them to. Get into the habit of tossing a rotisserie chicken or two into your cart when you’re at the store. They are a convenient way to get great tasting chicken into your system. 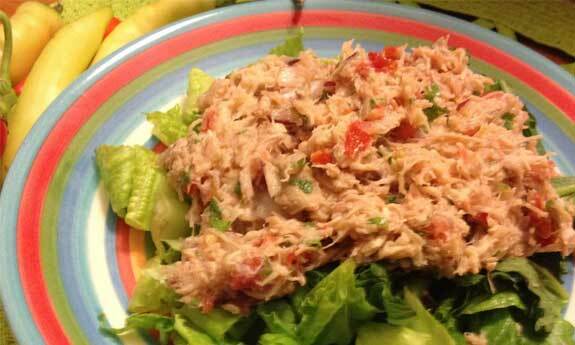 This recipe takes the great taste of Mexican food and puts it in a chicken salad. You’ll enjoy such flavors as tomatoes, onions, jalapenos, garlic, and cilantro, mixed with protein packed chicken and the health benefits of olive oil. There’s some lime juice thrown in for good measure so you’re getting a nice citrus taste that goes well with any Mexican-infused dish. One tip to make this go faster is to used leftover chicken or a pre-cooked rotisserie chicken. You’ll knock about 40 minutes of waiting off of this recipe and bring it to your plate and to your mouth faster. 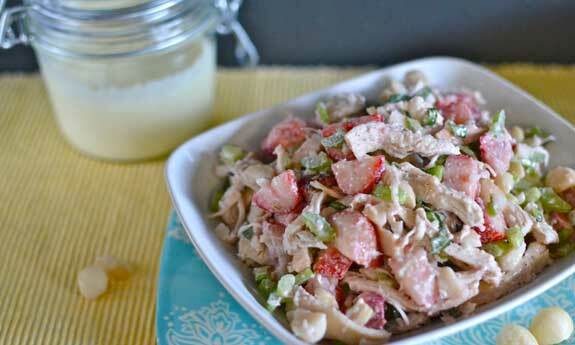 This chicken salad ends up with a wonderful pink hue thanks to the strawberries. It’s also going to have a crunchy, nutty flavor from the macadamias. But of course the chicken is serving as the base, so it’s following the Paleo food pyramid that states you should be getting meat as your primary source, followed closely by veggies, and then some fruit and healthy fats to round it off. They are suggesting you make your own mayo for this, and we couldn’t agree more as most store bought mayo is not Paleo friendly. 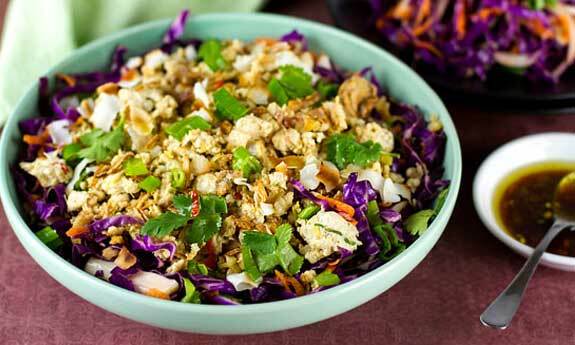 Here’s another chicken larb for you to enjoy, and it’s infused with red cabbage so you’re getting pretty equal amounts of chicken plus all the health benefits of red cabbage. They liken it to Pop Rocks with flavors bursting in your mouth, and that’s really something you’re going to have to seek out when eating Paleo, as many of the food items you’re allowed to have are going to need some doctoring in order to make that flavor pop. 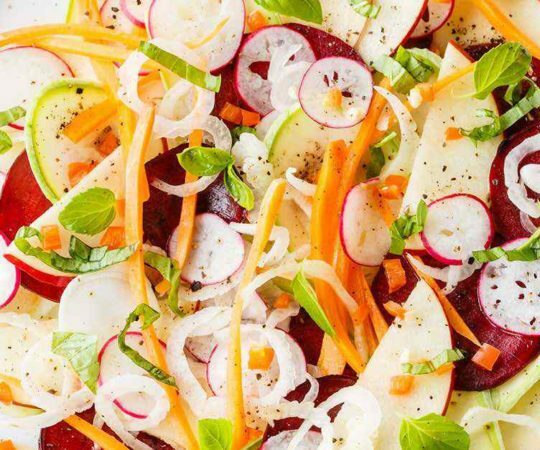 This is a fun salad that is easy to throw together if you have the ingredients on hand. This is a Paleo chicken salad that your mother would approve of because you’re finally eating your Brussels sprouts. But don’t let that stop you from enjoying it. Brussels sprouts are a cruciferous vegetable and are definitely one of the veggies you’ll want to add to your regular menu. They contain plenty of fiber to help your digestion and keep things moving. To help flavor things up they’re bringing out the big dogs in the form of apples and grapes, so you’re getting some sweet from the fruit, savory from the chicken, and crunchy goodness from the Brussels sprouts. We can’t figure out what’s prettier, the simplicity of this recipe or the way it looks when you get done with it. This is another chicken salad that you can enjoy wrapped in lettuce, which only the most discerning caveman would have done. The ingredients list looks like it was pulled right from a list of approved Paleo foods, so you can enjoy this without feeling guilty and without feeling like you’ve cheated on the diet. It’s nice to generate a collection of single-serving recipes because sometimes it’s just you and you only need to make enough to get through a meal or make a quick snack. It’s easy enough to double, triple, or quadruple things if you need to make more. Avocadoes hold a special place in our heart because they’re so good, and so good for you and are definitely something that would have provided nourishment and sustenance to mankind throughout the ages. The amount of healthy fats you’re getting can’t be ignored. There is also more potassium in one avocado than in one banana, so you’re getting this essential mineral covered. The other ingredients used are very basic, and Paleo is all about getting things back to basic, back to natural, and back to being real food. 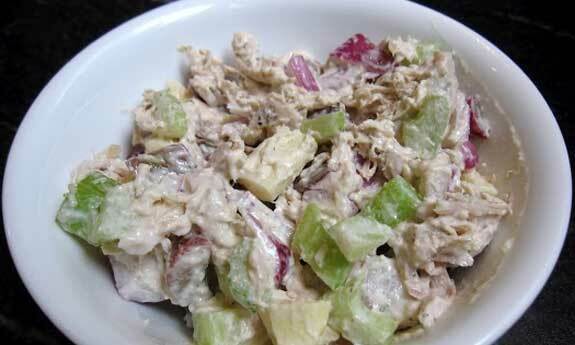 It’s hard to make a classic chicken salad because they all use mayo. Here they’ve got a workaround by making Paleo-friendly mayo from scratch. This extra step may add a few minutes to your prep time, but it’s totally worth it. It will provide you with the flavors and tastes you’re expecting while making it so you’re skipping out on the unhealthy oils used in conventional mayos. You can take the Pepsi Challenge with this mayo put up against the store bought mayo and based on the taste would choose the homemade kind for sure. Here’s a great chicken salad that doesn’t look like your average chicken salad because it’s using a few different ingredients that takes it off the grid. Artichokes are definitely a Paleo food, and capers are something prehistoric man would have happened upon in the wild, and no doubt tried out to see how they taste. The flavor combination of artichokes plus capers is something that you might get hooked on, and this could become a recipe that you have on a regular basis. The mayo on this one is optional. 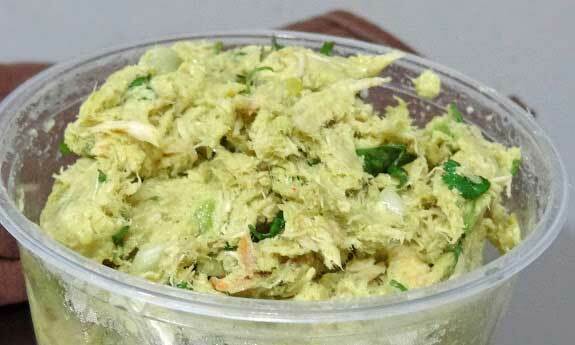 If you want to use mayo you can make your own Paleo-friendly mayo with free range eggs and olive oil. 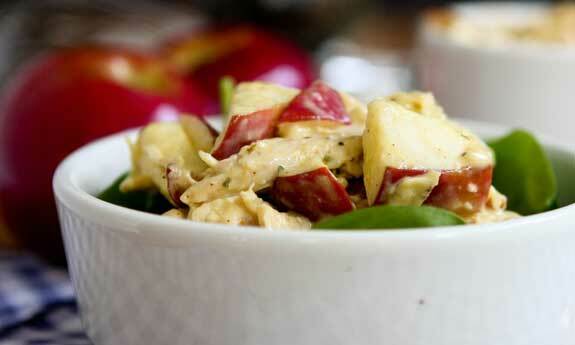 Chicken salad doesn’t have to be off limits, and makes a great lunchtime go-to because it’s pretty foolproof. You may have noticed the recurring theme of these recipes was that they cut out the mayo or they showed you a way to make mayo that didn’t violate any of the terms and conditions of eating Paleo. Once that glitch is fixed you’re free to add as much chicken as you want, mixed with a variety of vegetables, fruits, nuts, and healthy oils. Mayo itself is paleo! Mayo is just egg, oil, lemon, which are all paleo. Store-bought mayo is not, though, since it uses often uses bad oils (like canola) or creepy mystery ingredients. I rarely use mayo other than for the occasional tuna or salmon salad, but I have found one that I believe could be enjoyed in moderation of course. It uses expeller pressed safflower oil. It is a bit pricey, but it lasts me quite a while as I use it sparingly. Hain Pure Foods Safflower Mayonnaise is the brand.